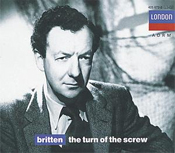 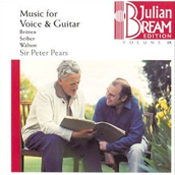 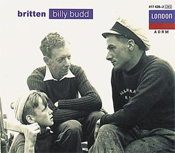 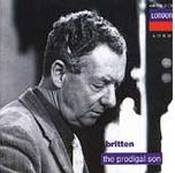 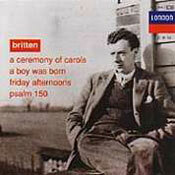 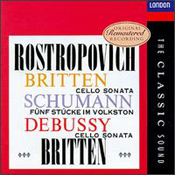 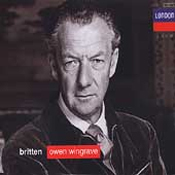 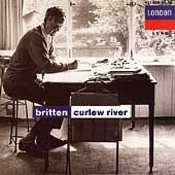 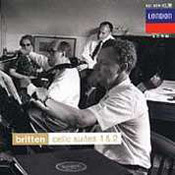 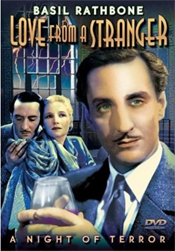 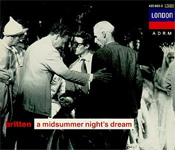 Benjamin Britten : Love from a Stranger, Music for the movie "Directed by Rowland V. Lee"
Benjamin Britten : Songs from "Friday afternoons" - Cuckoo! 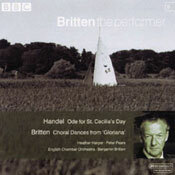 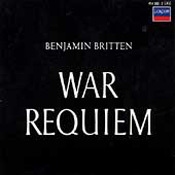 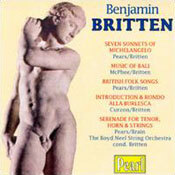 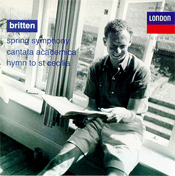 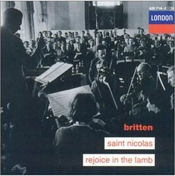 Benjamin Britten : Cantata Academica, f黵 Soli, Chor und Orchester, op. 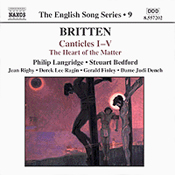 62 "Carmen Basiliense"
Hugo Wolf : M鰎ike Lieder - n�, Denk es, o Seele ! 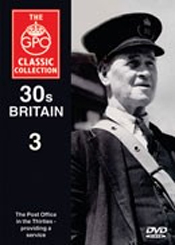 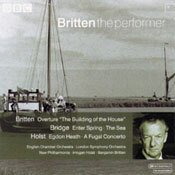 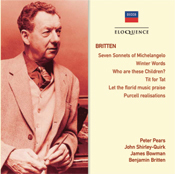 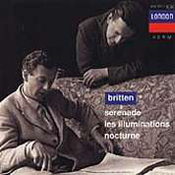 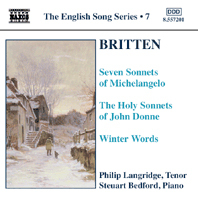 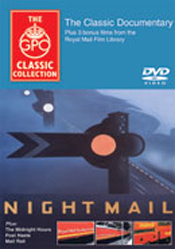 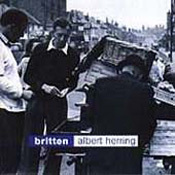 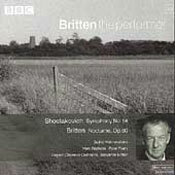 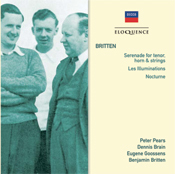 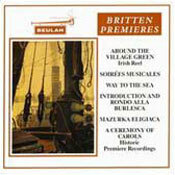 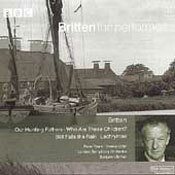 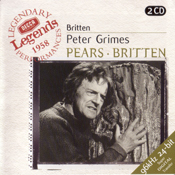 Benjamin Britten : Night Mail, Music for a documentary "Directed by Harry Watt and Basil Wright"
Benjamin Britten : Coal Face, Music for a documentary "Directed by Alberto Cavalcanti"
Benjamin Britten : The Saving of Bill Blewitt, Music for a documentary "Directed by Harry Watt"
Benjamin Britten : The King's Stamp, Music for a documentary "Directed by William Coldstream"
Benjamin Britten : Mony a Pickle, Music for a documentary "Directed by Norman McLaren and Richard Massingham"
Frederick Delius : Two Pieces for Small Orchestra - n�Songs to be sung of a summer night on the water, arr. 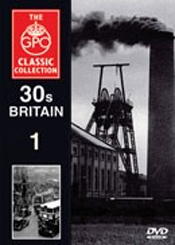 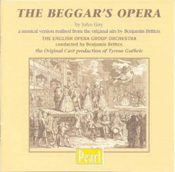 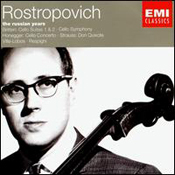 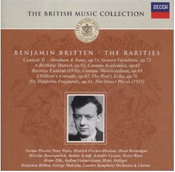 Henry Purcell : Fantasia n� in F Major, A 746 "Upon one note"
Benjamin Britten : Two Portraits For String Orchetra n�"David Layton"
Benjamin Britten : Two Portraits For Solo Viola and String Orchetra n�"E.B.B." 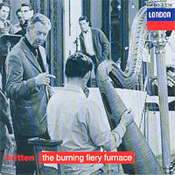 Benjamin Britten : Four Barriers, Music for a documentary "Directed by Alberto Cavalcanti"
Benjamin Britten : Men of the Alps, Music for a documentary "Directed by Alberto Cavalcanti"
Benjamin Britten : Message from Geneva, Music for a documentary "Directed by Alberto Cavalcanti"
Benjamin Britten : The Line to Tschierva Hut, Music for a documentary "Directed by Alberto Cavalcanti"
Benjamin Britten : Night Piece for Piano "Notturno"
Edward Elgar : Variations on an Original Theme for Orchestra, op. 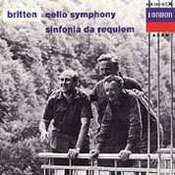 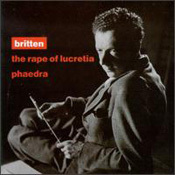 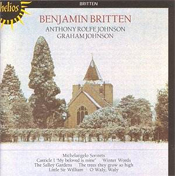 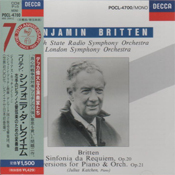 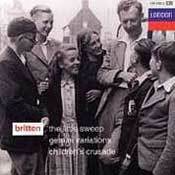 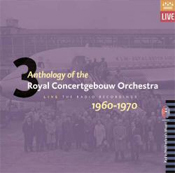 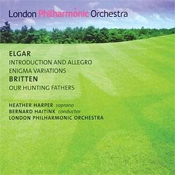 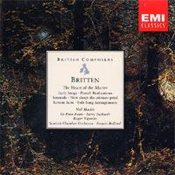 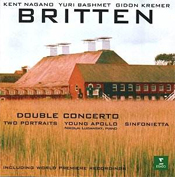 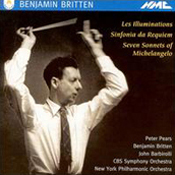 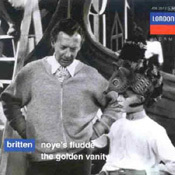 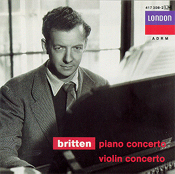 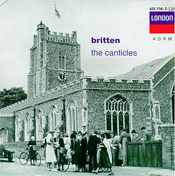 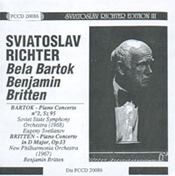 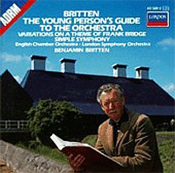 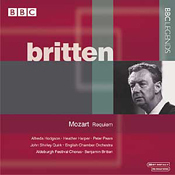 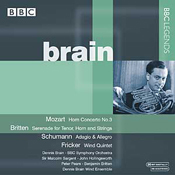 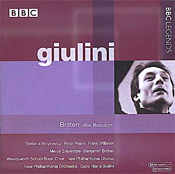 36 "Enigma Variations"
Benjamin Britten : Canadian Carnival, op. 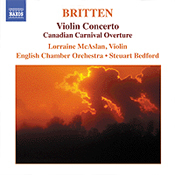 19 "Kermesse canadienne"
Felix Mendelssohn-Bartholdy : Symphony n�in A Minor, op. 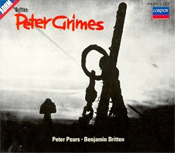 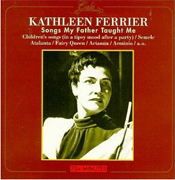 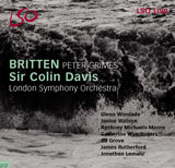 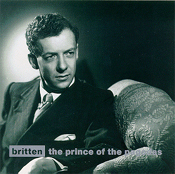 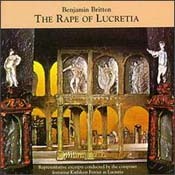 56 "Scottish"
Benjamin Britten : Daughter, Music for a documentary "Directed by Lotte Reiniger"
Wolfgang Amadeus Mozart : Symphony n� in D Major, K. 504 "Prague"
Mozart : Die ihr des unermesslichen Weltalls Sch鰌fer ehrt; Britten : Who are these children ? 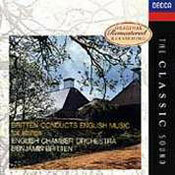 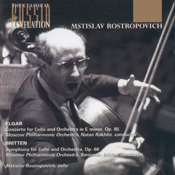 Felix Mendelssohn-Bartholdy : Symphony - Excerpts n�in A Minor, op. 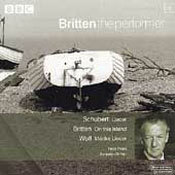 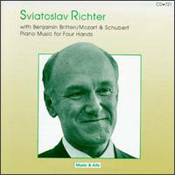 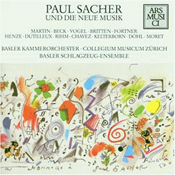 56 "Scottish"
Benjamin Britten : Discussion about Schubert "Die Winterreise"